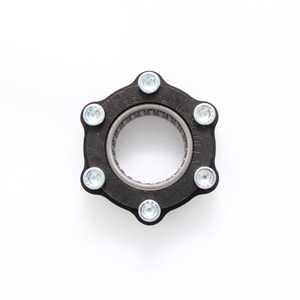 Hub for 1" Turbo clutch gear rings. Uses new style snap ring (098-028) to hold hub to basket. Bolts to attach gear ring included with hub. Gear ring sizes are 22 tooth thru 30 tooth and are sold separately.